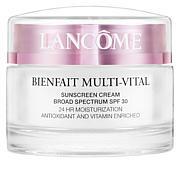 Lancôme Bienfait Aqua Vital Moisturizer - 1.7 oz. Refresh your routine with the all day hydration of Aqua Vital. 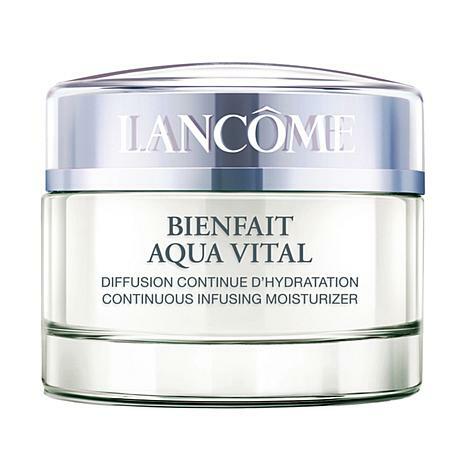 It's the perfect way to prep for makeup application and provides the continuous moisture your complexion craves. 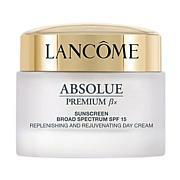 Beautiful skin begins with Lancôme. Love is not a strong enough word. I have dry skin and sensitive skin. I have had to return some products due to that, but not this!!! It AMAZING!! 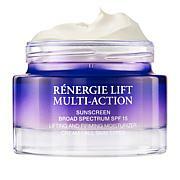 Feels smooth and soothing when you apply and keeps my face hydrated all day!!!! This is a home run!!!! So far so good. This moisturizer isn't supposed to give you any whiteheads which I love. Not greasy at all.